Most of us would like to lose weight. But, we’d also like to keep our pelvic health in tip top condition too. Being healthy and fit is often one of our top priorities. But what happens when improving one part of your health negatively impacts on another? This can often be the case for people who are trying to lose weight. We’re so focused on improving our outside appearance that we forget that our insides need a little TLC and maintenance too! Suffering with Wind Following Christmas Leftovers? Pigs in blankets. Stuffing balls. Even brussel sprouts. Just name it, and you can guarantee that you’ve eaten it over Christmas. But whilst you’re lying there, basking in your food coma, something takes you by surprise. PRRP! Was that you? Oh no, time to rush to the toilet! We often see this as a comedic event, but in reality, 1 in 10 people are affected by bowel incontinence at some point in their lives – this can be a one-off or an everyday occurrence. Sound familiar? Read the blog to learn more. Time and time again, we make a promise to ourselves that this year we WILL get fit – both internally and externally. Yet, somehow December has already come around again, and the illusion of a 2018 fitness goddess has been shattered. That’s why you need to make 2019 your year of supreme fitness – starting with giving some TLC to your pelvic floor. It’s important that you improve yourself from the inside out. You don’t want to be that person who throws themselves into jogging just to quit from embarrassment a few minutes in after suffering from a little leakage. Don't Leave Your Pelvic Floor in the Dark! The 21st December marks Winter Solstice in the UK – meaning that we will be plunged into darkness for what feels like a lifetime… Ok, well not quite. But today of all days is when we will experience fewer hours in the sunlight and longer in the darkness. But, one thing that we can’t leave in the dark is our pelvic floor! Read on to learn how you can shine a light on your pelvic floor this winter. 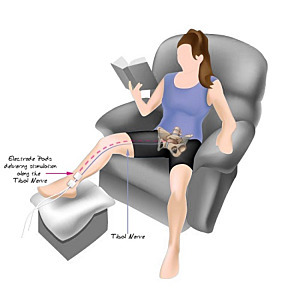 Can Physiotherapists Recommend Medical Devices? Are you a physiotherapist that has found the perfect product to relieve a patient’s symptoms, but unsure as to whether you’re allowed to recommend it? Don’t worry, Kegel8 have the answer for all physiotherapists out there! Physiotherapy departments and private practices often lend out medical devices, such as electrical stimulation devices, biofeedback machines, and TENS units. Physios can give advice on the safe and effective use of products and devices to enhance exercise rehabilitation, assist with posture, and relieve pain. How Can Kegel Exercises Help When Running? Running is one of the most popular forms of exercise. In fact, 10.5 million people in Britain choose to exercise by running. But when your fitness regime is compromised by a pelvic floor disorder such as stress urinary incontinence, it can become difficult to maintain motivation. As soon as we begin to walk, the involuntary loss of urine is socially stigmatising. Whether this is in school, at work, or in the nursing home – incontinence is a taboo that we must hide. We can go to great lengths to hide the fact that we suffer from urinary incontinence. We wear black – wet patches will be less noticeable. We use sanitary protection products – we’d rather pad the problem than talk about it! Sound like you? It’s time to face the music and end your suffering once and for all. Read on to learn all about how incontinence affects us when we age. Are You the Thing That Goes Bump in the Night? Imagine – you’re laying, all cosied up, in your bed. You’ve just got into a comfortable position and have drifted into dreamland. Then, wham! That pesky little bladder of yours wants to go on a midnight adventure to the bathroom. Sure, it’d be ok if it was a one off – but no! You find yourself taking trips to the bathroom maybe twice or more each night! If this is all too familiar, and you are the thing going bump in the night, you may be suffering from nocturia. Often pushed to the side by a wall of taboo, erectile dysfunction is a common condition that affects an estimated 152 million men worldwide, and that is expected to grow to 332 million within a few years. If you have trouble in gaining and maintaining an erection and want to know how to solve your problems naturally without the intervention of drugs, read on to learn how Kegel8 can help you.